circumambient ... an exploration into all-encompassing and immersive independent music. 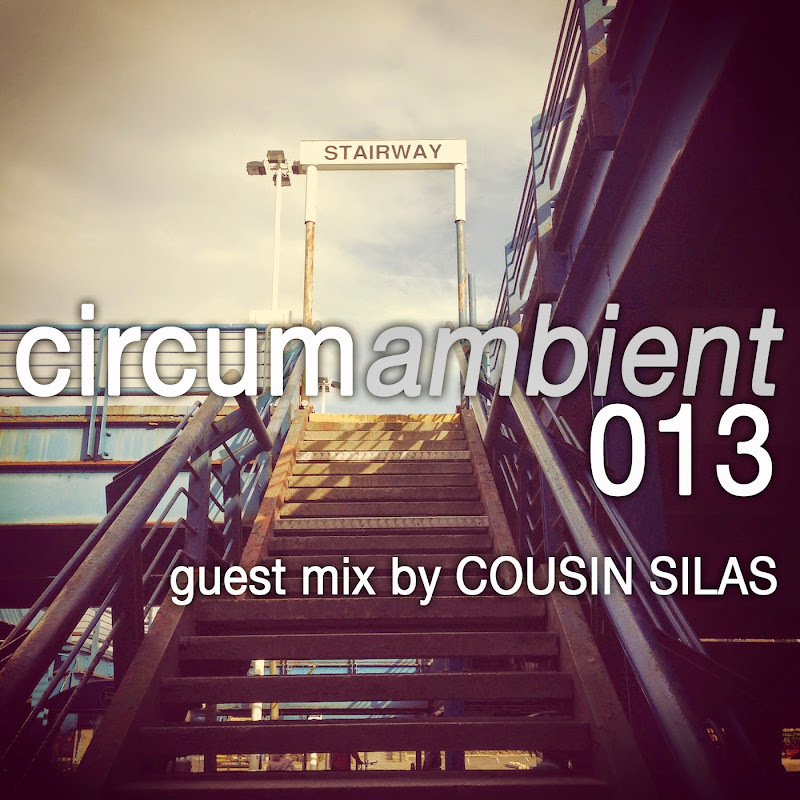 In this instalment we celebrate the music of Cousin Silas with a wee mix the man himself curated and pulled together for us. It features some of his favourite tracks and, thankfully, it features some of my all time favourites too including "In One Small Corner Of The Sky (Jupiter Sings)" which was the first track released on my netlabel, weareallghosts. The tracks come from various netlabels including Aural Films, BFW Recordings, Withered Trees and Earthrid. It also features a track from the mighty Earth Monkey Productions from back in the day. I hope you will enjoy this mix as much as I have. Please support independent musicians like Cousin Silas by buying their music and spreading the word. 1. In One Small Corner Of The Sky (Jupiter Sings) from "The Path Between The Trees (waag_rel001)" on weareallghosts. 2. Humberstone 5am from "Necropolis Line" on Earthrid. 3. The End Of Winter from "Unhinged Constellations (waag_rel005)" on weareallghosts. 4. Lost Location with Distant Streetlights from "geographics (emp006)" on Earth Monkey Productions. 5. Submerged Cities from "Ballard Landscapes 3" on Aural Films. 6. Left Behind from "Long Decay" on Withering Trees.